Way back in the 1980s, I had a school friend living round the corner with whom I spent many hours playing David Braben and Ian Bell’s space trading game Elite on his dad’s insanely powerful 128k BBC Master. To that point, there hadn’t been a computer in my house so I’d only ever used BBC Model B’s at school. Aside from Castle Quest (and later Exile), Elite really fills my first memories of using computers in any way. I don’t know especially what it was that attracted me to Elite so much. Or I do, and it was everything! At the time Star Wars and Star Trek were among the biggest cultural influences on boys my age, so the content was ripe for sparking imagination; my mind’s eye making the Elite universe seem a solid, colourful living thing, rather than the jagged white lines and dots that represented it on screen. Exploration in my Cobra, the excitement of making a good trade and avoiding the pirates, the outside chance that every hyperspace jump might lead to an encounter with the dreaded Thargoids, bounty hunting, or even partaking in a bit of piracy myself and running the gauntlet of the Vipers policing the solar system. The possibilities were practically endless. A little later, a family friend who was a teacher and knew that I was interested in computers, took me along to some kind of educational technology trade show where Acorn were showing off their new Archimedes computers. They were using another David Braben game, called Lander, to demo the hardware. Although I didn’t know they were produced by the same guy, I might’ve guessed; except this time the polygons of the ship and those making up the landscape were filled with colour, and there were trees and water. It looked absolutely gorgeous. 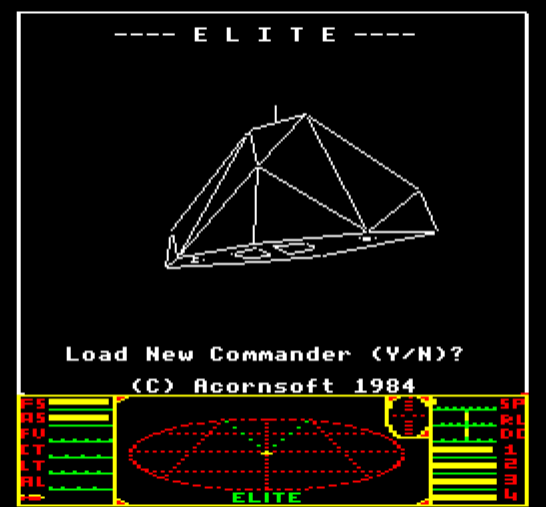 I don’t know exactly how long it took me to persuade my parents to buy an Archimedes after that, but I know that it was the leap from what I’d experienced in the wireframe graphics of Elite on the Master to the vibrant look of Lander which made me realise how quickly computers were evolving, and I knew at that point that I needed to have one. Yes, to play with, but also to better learn how to use it. I played the Archimedes version of Elite a lot on that machine. It had solid, filled polygons like Lander, so it looked great! As much as I played, I also taught myself BASIC from books and magazines, learned about RISC OS, and I spent a fair bit of time trying (and failing) to make a Harrier jump-jet simulator with a package called Flight Sim Toolkit. It is ultimately because of Elite that I gained a degree in Computing Science and ended up in a career in IT. Over the years, I’d occasionally fired up BeebEm and played a bit of the original; dreaming of a modern version of the game that had so sparked my imagination. While more modern games might’ve looked better, and even offered “sandbox” gameplay, there wasn’t anything that offered the total freedom of “here’s the universe; go do what you want”. I realise that isn’t for everyone; some people garner far more enjoyment from structured gameplay. Conversely, there are those who like a big box of Lego bricks without any instructions. Elite isn’t for everyone, but I loved it. Ironically, it wasn’t until recently – just a few days before I met David Braben at a conference where we were both speaking – that I realised that for a number of years people had been asking me about my unusual choice of pets, and I’d been giving the wrong answer. I kept snakes for about 10 years and I would frequently be asked what got me interested in them in the first place. I would always answer that I wasn’t sure, but I was fascinated by their movement or some such waffle. 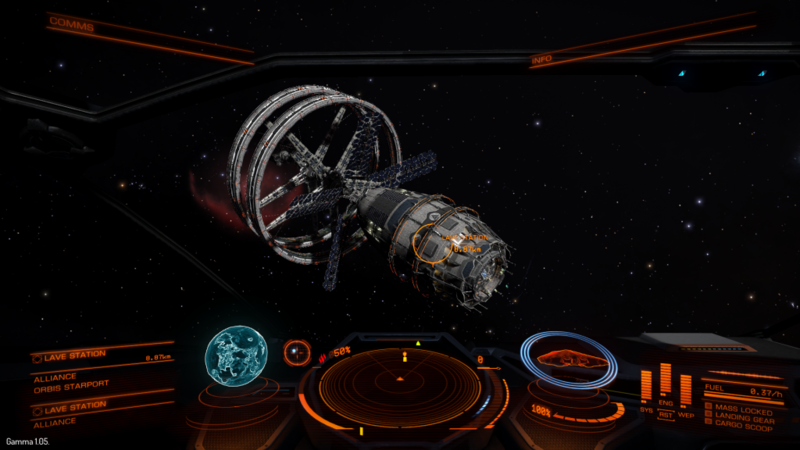 It took until Elite: Dangerous came on the scene before I realised the source of Cobras, Pythons, Fer de Lances, Anacondas, Vipers, Asps, etc (the ships in the game) in my sub-conscious! I wonder how many of my other decisions in life have been influenced by this marvelous game? The nice thing about this modern version of Elite is that I’ve been able to follow the development from an early stage, and as a backer on Kickstarter, I actually contributed to its creation. Had the game gone down the traditional publisher route, I would still have been among the first to buy it on the 16th, but this way I feel far more invested in the title. At this point I’m playing a pre-launch build on a daily basis and I’m having a ball! It’s only going to get better after launch, when the story begins to unfold. I’ve already primed myself for some of that by reading some of the new fiction that has been licensed by Frontier and authored by Elite fans who pledged at a sufficient level on Kickstarter to obtain that license and the support from Frontier Developments to expand the canon. Right now, I haven’t decided whether Commander Jonoble is going to be a trader, explorer, miner, bounty hunter or what. 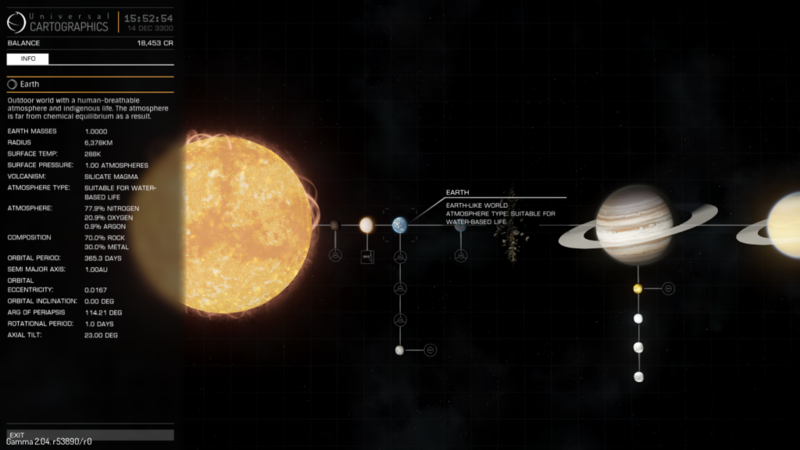 At the moment I’m making an epic journey to Lave, the system where everyone began their Elite adventure in the original. Along the way I’ve fought off pirates (occasionally being rescued by the authorities, not that I needed it! ), l made enough profit in trades to buy more weaponry and a fuel scoop so that I could fill my tanks by skimming stars, and I’ve learned by trial and error just how close I can get to one before my ship blows up. It’s been a blast, literally! I’ve also learned not to accept a mission to retrieve some commodity for a space station without any idea where to obtain it (coltan, I’m looking at you!). David Braben’s Frontier Developments studio releases Elite: Dangerous on Windows on 16th December. It feels exactly like the game that I’ve been wanting to play for years.